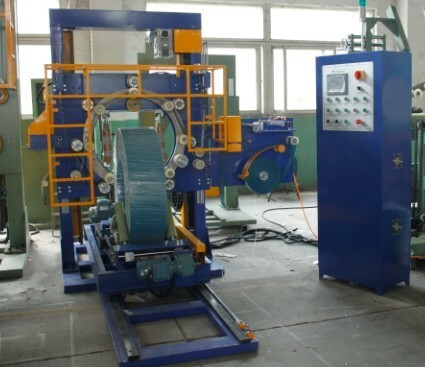 FPW-500 series wire coil wrapping machine has trolley attached for loading and unloading. The electric components: Siemens PLC provides incomparable control of coil packaging machine device movements with easy maintenance. All electrical components make the machine has a high speed, gentle handling and high reliability with lower maintenance cost and energy cost. 1.Automatic or semi-auto working mode for choose.